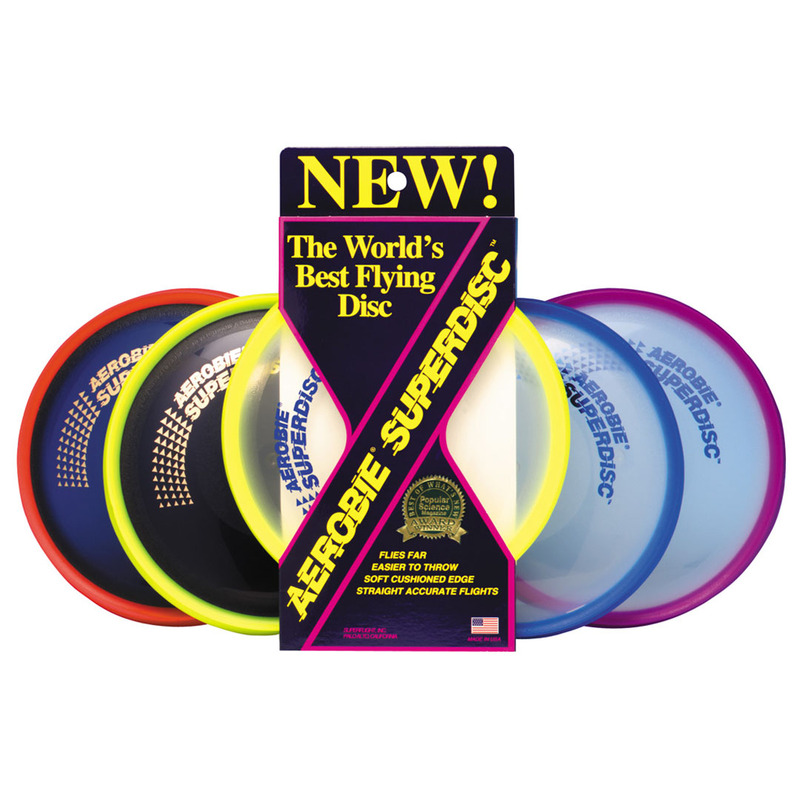 Players of all skill levels can throw the Superdisc well and enjoy stable, accurate flights. The Superdisc's breakthrough spoiler rim design centers the aerodynamic lift throughout each flight, making the Superdisc a more stable flyer for throwers of all skill levels. The soft rubber edge provides a great grip for strong throws and remains smooth to catch even after repeatedly landing on pavement. Conventional hard discs often develop sharp scratches and burrs. Made from non-toxic materials, the Superdisc’s soft edge is also kind to a dog’s mouth, making it the disc of choice for professional dog disc entertainers like Chris Perondi, star of the Extreme Canines Stunt Dog Show. Available in yellow, red, blue, and green.